Intel has been talking up its discrete GPU plans. The purpose of the recent video Tweet by @IntelGraphics appears not to be for teasing PC gamers or enthusiasts. 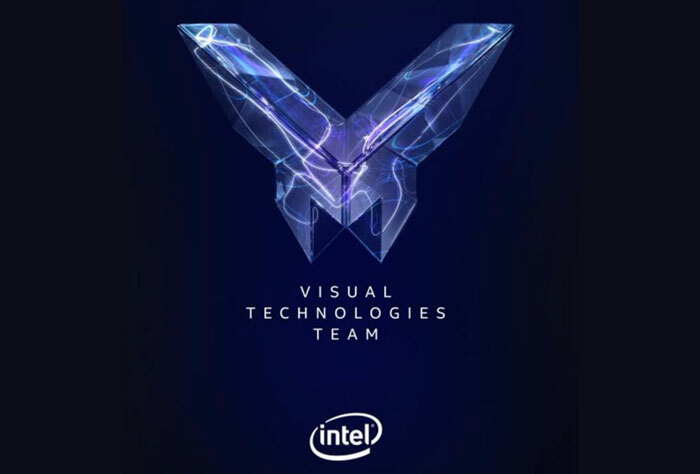 Rather, Intel is still on the lookout for engineering talent to join its Visual Technologies Team in its quest to create a leading GPU for the future. I've embedded the video Tweet from Intel above, as it is worth a watch to see Raja Koduri and Bob Swann set out their stalls, outlining what they aim to achieve in a relatively short time. Koduri starts with a dramatic claim that his team are "starting from zero". This is an exciting opportunity, rather than a hindrance, he asserts. Koduri talks-up the capabilities of his team and goes on to explain that Intel's IP portfolio covering hardware, firmware and software form an "incredible" base from which to build new technologies. Appealing to blue sky thinking problem solving engineers, Koduri explains how he and others are using Intel's enviable tech building blocks and technologies to provide unique opportunities. Looking further into the future Koduri wants the Intel discrete graphics technology that emerges to enable "photorealistic immersive worlds... lifelike personal presence communication tools... and games with virtual worlds as large as the universe". Intel's interim CEO says that graphics will play a key role in Intel architectures going forward. 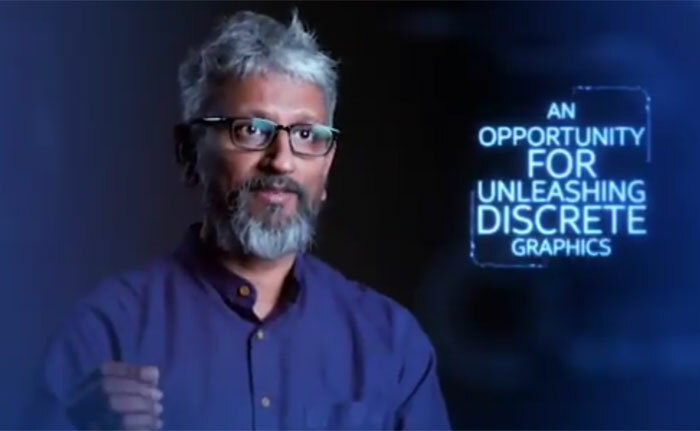 Swann's reckons that Intel's resources (107,000 people, cash reserves, technologies, and history) pretty much guarantees that it can be a success in becoming a leader in graphics. He wraps up by stating being a leader is "what Intel's been about, and that's what we expect to do with discrete graphics". If they do it… and how I pray they do… the graphics market can be a proper fight… at last! Hope so, is there a roadmap of development or still too early? That's a lot of big talk. But pushing a graphics architecture in such a short window I hope they can pull it off how they say they are else they'll be a laughing stock. It still goes that you can't just throw money, people and resources and it'll magically produce a winning product. But then again, Intel is so big and has so much money, they could somewhat design and build a product at a loss to compete with Nvidia in the HALO space and soak up losses for a while and build mindshare. I wonder if, because of this, Nvidia may move into the CPU space (properly) in the next decade. Because it was original Intel vs AMD and ATI vs Nvidia. Now it is AMD vs Intel and AMD vs Nvidia. Soon it is going to be Intel vs AMD vs Nvidia and AMD vs Intel. But Intel and AMD will both have an advantage over Nvidia because they can build their hardware to work more intrinsically together? They already have an ARM license, but do you honestly think Intel will give them a x86 one? Of course they won't. They'd have to go to AMD for the x86-64 license, at least. Not sure if they'd then have to ask Intel for the base x86 license as well.